Her father didn’t want her to be a dancer so Leni entered the State Art School in Berlin where she studied painting. 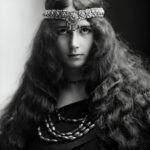 In 1919, the father sent her to a boarding school in Thale. There she was secretly engaged in dances and played in the theater performances. 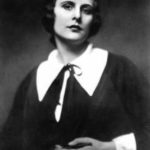 In 1920, Riefenstahl became a secretary in the company of her father. 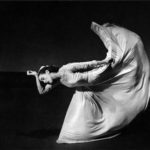 From 1921 to 1923 Leni studied classical ballet under the direction of Eugene Eduardova, a former St. Petersburg ballerina. In 1923, she went to Dresden to take dance lessons in Mary Wigman’s school. 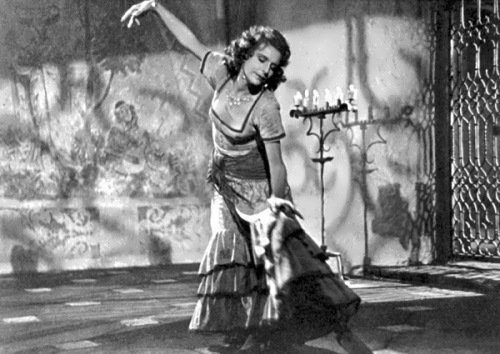 Her first solo performance took place in Munich on October 23, 1923. She performed in Berlin, Frankfurt am Main, Leipzig, Düsseldorf, Cologne, Kiel, Stettin, Zurich, Innsbruck and Prague. However, because of ligament tear she had to quit her career in dancing. 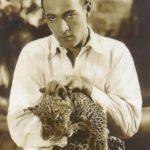 In 1924, Leni saw the film Mountain of Destiny by Arnold Funk. The film impressed her so much that she went to the mountains. 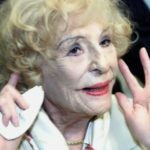 Riefenstahl also met leading actor Luis Trenker and director Arnold Funk, who wrote for her screenplay of Holy Mountain. The film was premiered on December 17, 1926 in Berlin. The dancer became a famous actress. 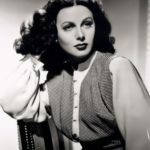 She starred in The Great Leap (1927), White Hell of Piz Palu (1929), Storm over Mont Blanc (1930) and White Madness (1931). 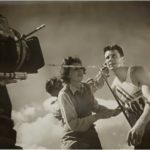 In 1927, on the set of the movie The Great Leap Riefenstahl met Hans Schneeberger, cinematographer and leading actor, and they lived together for three years. 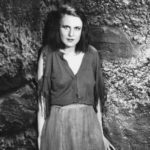 In Berlin, she also met the directors Georg Wilhelm Pabst (Joyless lane), Abel Gance (Napoleon), Walter Ruttmann (Berlin, Symphony of a Great City) and writer Erich Maria Remarque. In 1928, Leni visited the Winter Olympic Games in St. Moritz, Switzerland. In the same year her first article about Funk’s movie White Stadium appeared in Film-Kurier. She began to publish regular reports about the shooting of her films. In 1928 she also starred in the film Fate of the House of Hapsburg by Rudolf Raff. In 1932, Riefenstahl made a film Blue Light. It was her directorial debut. 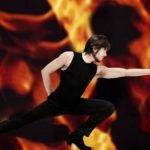 At the Venice Biennale the film received a silver medal. 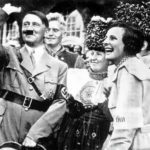 In February 1932 Riefenstahl met Adolf Hitler, as well as Joseph Goebbels and his wife. In May 1933, Leni took Hitler’s proposal to make a film about NSDAP Congress in Nuremberg. The film Victory of Faith was premiered on December 1, 1933. In April 1934, Hitler ordered to make Triumph of the Will. 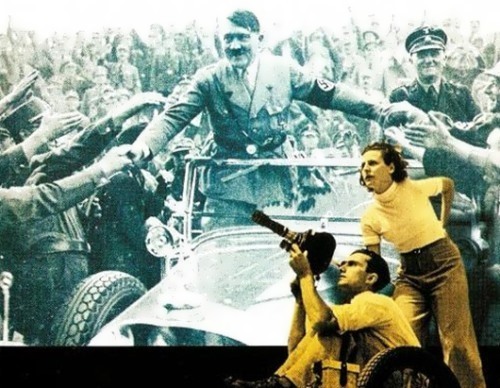 Riefenstahl won the state prize, the prize for the best documentary film at the International Film Festival in Venice in 1935 and a gold medal at the World Exhibition in Paris in 1937. In 1935, Leni met General Secretary of the Organizing Committee of the Summer Olympic Games in Berlin in 1936. Goebbels officially announced that the Ministry of Propaganda ordered Riefenstahl film about the Olympic Games in Berlin. The premiere of the film Olympia was held on April 20, 1938. On August 31, 1938 the film was awarded the prize for best film at the International Film Festival in Venice. On November 24, 1938 Riefenstahl came to Hollywood, where she met the directors King Vidor and Walt Disney, as well as the father of the American automobile industry, Henry Ford. In 1956, Hollywood jury named Olympia one of the ten best films of the world. It became a model for many sports films and reports. On March 21, 1944 Leni married Peter Jacob. They divorced three years later. 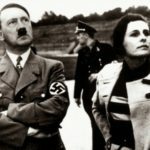 March 30, 1944 was the last time when Riefenstahl met with Adolf Hitler at his residence. In April 1956, at the age of 53, she made her first trip to Africa. She became fascinated with photography. 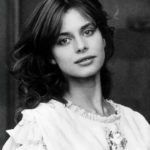 Her photos were published in the leading glossy magazines – Stern, The Sunday Times, Paris Match, L’Europeo, Newsweek, The Sun. In fact Riefenstahl opened Nubian tribes of central Sudan to the public. She published two books on the African tribe of the Nuba (The Last of the Nuba, 1974, and The People of Kau, 1976). 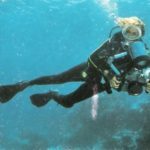 In 1974, at the age of 71, Leni scuba dived with the camera for underwater shooting in the Indian Ocean. 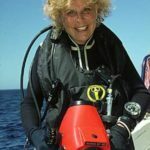 Over the last three decades of her life, she made more than two thousand dives. In August 1987 her memories were published in 13 countries. In America, and Japan they became a bestseller. 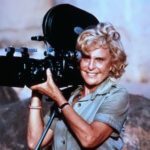 In 1993, when she was 91 years old, German director Ray Mueller made a film biography The Wonderful, Horrible Life of Leni Riefenstahl. In 2001, she was awarded the Gold Medal of the International Olympic Committee. In the same year, Riefenstahl visited Russia for the first time. 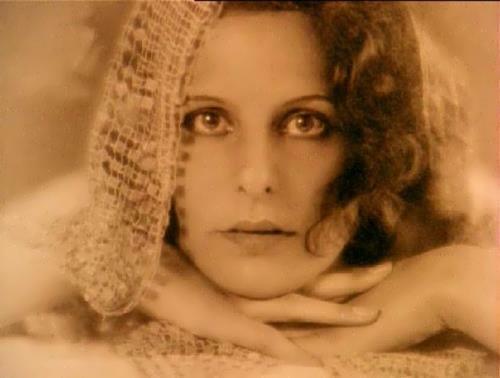 Leni Riefenstahl died on September 8, 2003, two weeks after her 101st birthday.